Not yet got your tickets for the British Grand Prix? Or even if you do, do you fancy the opportunity to mingle with the Mercedes team that weekend? And think you're a dab hand when it comes to communicating on social media? If so, your luck's in as Mercedes-Benz has launched a great competition. And if you win, you and a guest will be given tickets to the forthcoming British Grand Prix at Silverstone and be able to report back on the entire weekend as Merc's #SocialReporter. 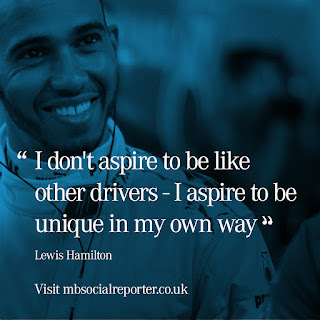 You'll also attend the AMG customer party at Woburn Abbey on 27th June and mingle with celebrities and members of the MERCEDES AMG PETRONAS Formula One™ Team. A great prize for any F1 fan, I'm sure you'll agree. 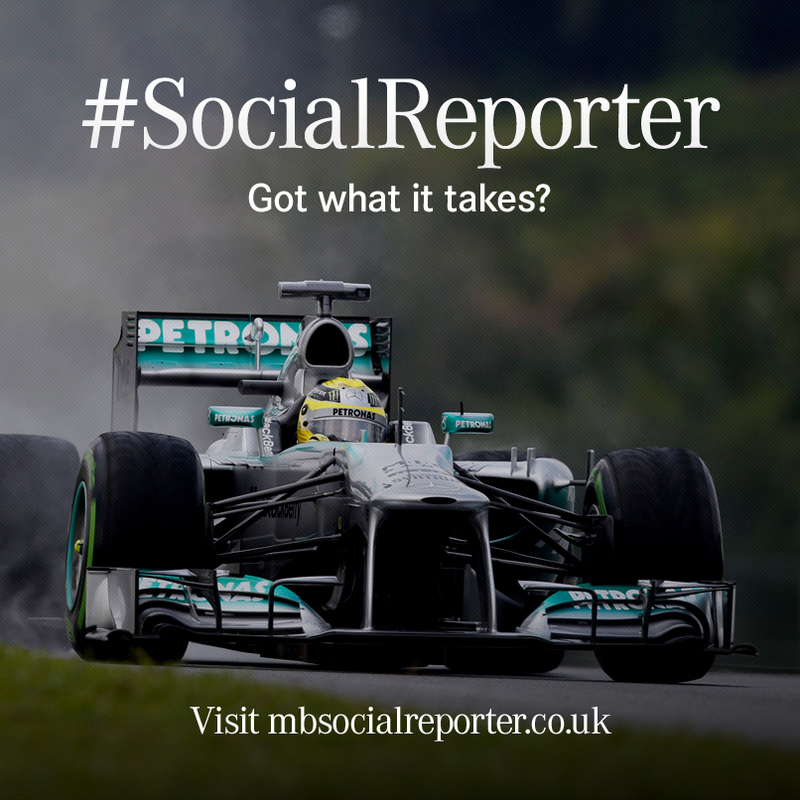 What you have to do is submit an entry that represents your definitive motorsport moment and pose that key question you've been itching to ask this season, and you could be the F1 Mercedes-Benz #SocialReporter. You can add as many pieces of content from as many social channels as you would like to. 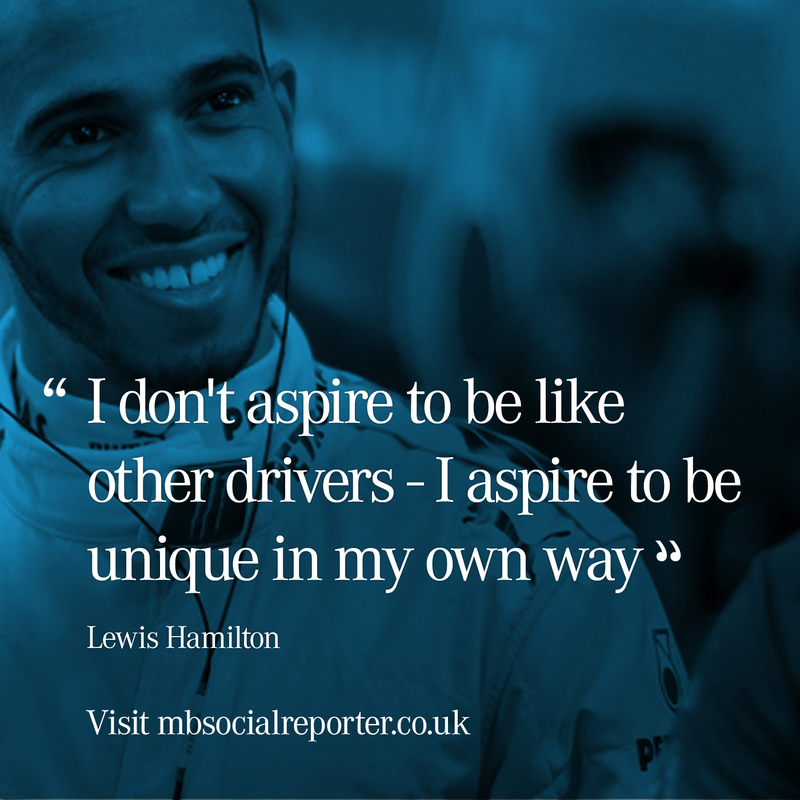 This is one of many #SocialReporter events by Mercedes-Benz, and it starts with Formula 1. The competition is now live, and submissions end on the 19th June, with voting taking place on the 20th – 24th June. Further terms and conditions are on the website. Sadly it's only available to residents of the UK, and those aged 18 years or over.